Facebook has revolutionised the way people interact worldwide. The level and variety of functionality supported by site is constantly growing. 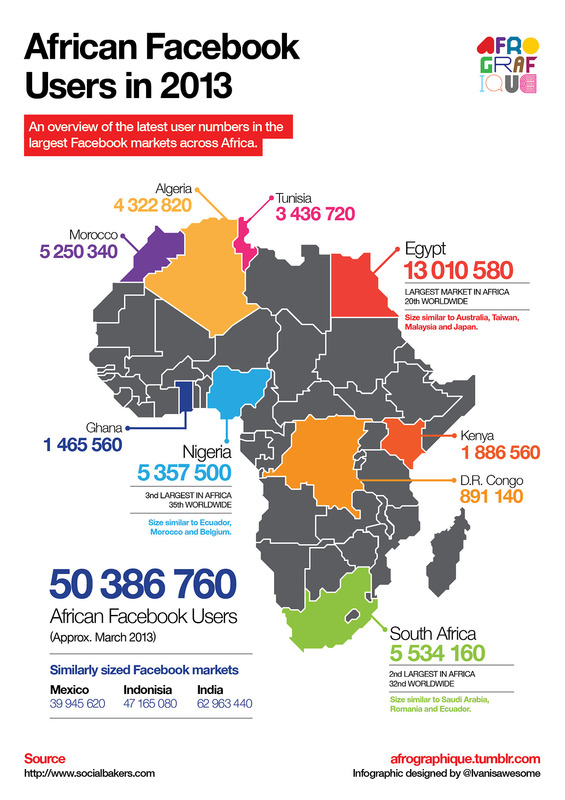 As a new infographic shows, so are user numbers in Africa! As access to Facebook and other social networking platforms increases across the continent, the number of opportunities for technology-driven, innovative solutions to the problems faced by people living and working in the regions can only go up! Check out the Afrographique blog for more interesting African infographics.